We exist in a universe where everything is connected. The nature that surrounds us, for example, has a powerful connection to human beings. Aside from the fact that it is our main source of food, the way nature behaves creates an impact to our bodily functions. A simple example can be experienced when you are taking an early morning stroll out in the open. It puts you in a better mood, doesn’t it? That’s because the sun’s ultraviolet rays stimulate the flow of hormones in our body. However, not all effects caused by nature’s behavior are positive. Some of them can take a negative toll on us. Numerous studies have been conducted on the effects of the moon to human beings. In each, they were able to discover that the moon has various effects to the human mind, both scientifically and spiritually. Our subconscious is a doorway to multitudes of memories, insights, images and other forms of impressions that we have accumulated over the years. Moreover, it generates a high frequency which is relatively higher than that produced by the moon. 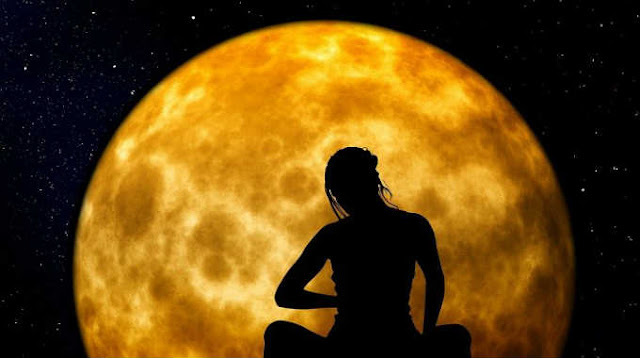 Meditating on a full moon night can help us in several ways, Ancient yogi’s and Tibetan monks have been known to meditate on full moon night and able to explore the powers of subconscious mind. Ordinarily it takes a lot of energy and meditation and concentration in order to explore and heal our subconscious, but Full moon has powerful energies and spiritual practitioners including Wicca and Pagans have been known for using this energy. It is believed that Buddha attained enlightenment by meditating Vipassana Meditation on full moon night. In several studies, the frequencies emanated by the moon are discovered to have an effect on the thought frequencies in our subconscious mind. They make our subconscious surface to the conscious mind, bringing along with it all the imprints that we have stored in it – unnecessary and necessary; positive and negative. Their combined surge to the conscious mind can be overwhelming and can cause a person to act crazy and mindless or feel energetic and powerful. Some studies have found strong evidence that the moon affects our sleeping patterns. The evidence was based on a study that involved 33 adult volunteers of different age groups who were put under observation as they slept for several nights in a sleep lab. The researchers studied and observed the brain activity, eye movements and hormone levels of the volunteers. They discovered that on nights closer to moon days, volunteers take an average of five minutes longer to ease into sleep, and their sleeping hours are cut short by 20 minutes. Additionally, their melatonin (sleep regulating hormones) levels dropped compared to other nights. This information uncovers the fact that on full moon nights, people are prone to experiencing insomnia because of extra energy. Knowing the effects of the moon, we can use it to our own advantage instead of letting it have a negative effect on our vibrations. In nights where a new moon graces the night sky, our unconscious surface through and we can use this time to cleanse our overactive mind. We should not use natural phenomena as an excuse to give in to our body’s natural response. Instead, we should always work for towards the improvement of our self. This post was republished from mysticbanana.com. You can find the original post here.